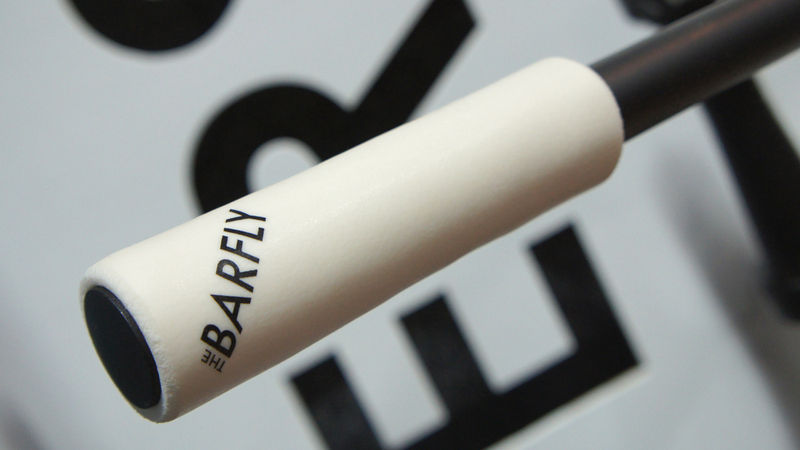 Having made a name for themeslves by improving on Garmin and other companies’ stock computer mounts, Tate Labs (AKA BarFly) have dramatically expanded their range over the past year. 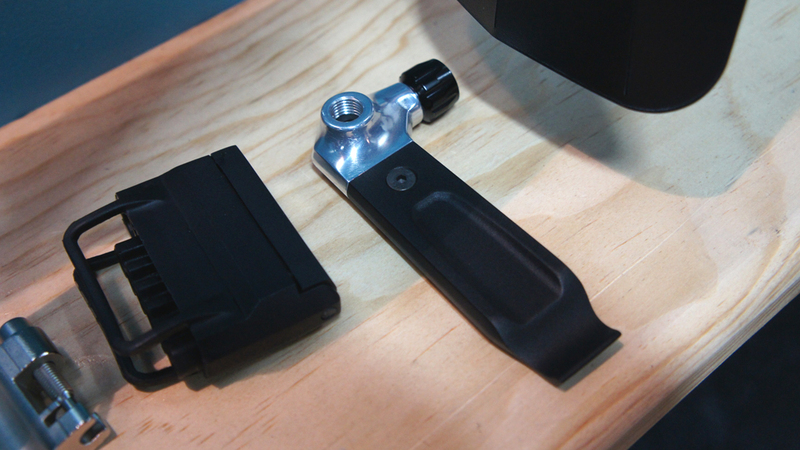 At Interbike, the small company was most excited about their Porter system. 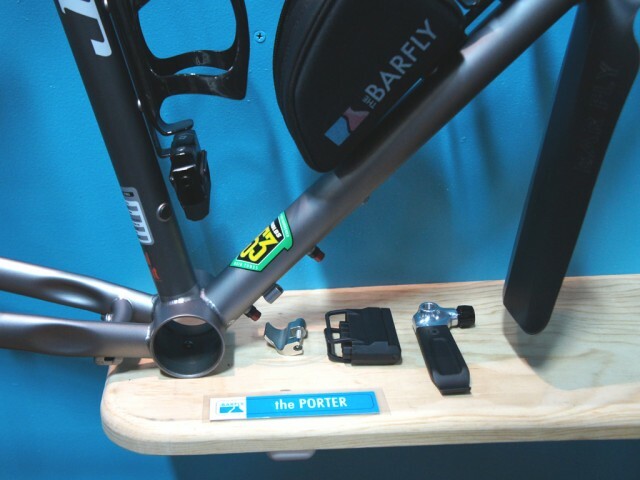 Building on the trend of moving tools from the back to the bike, the Porter includes a mini tool under a bottle cage and a stiff-sided case that clip tidily below/behind a bottle cage. 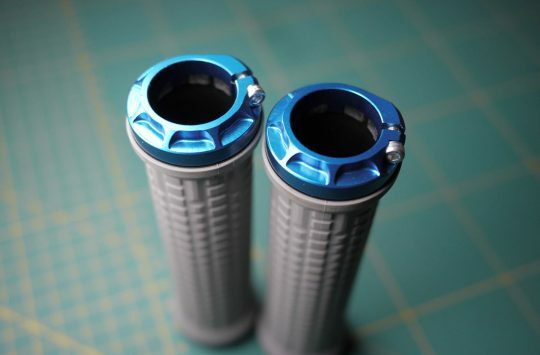 Of particular interest to our magpie eyes was the polished aluminium CO2 inflator built into a tyre lever. It was smooth, shiny, and should be easy to find should a flat attack. 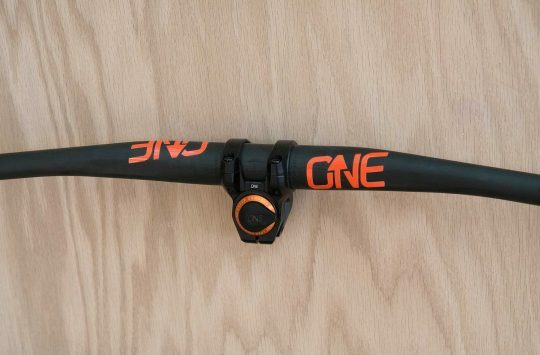 The company’s SLi mount platform launched at Sea Otter this sping and allows riders to mount everything from their GPS to light to action camera to a single out-front or over-stem mount. 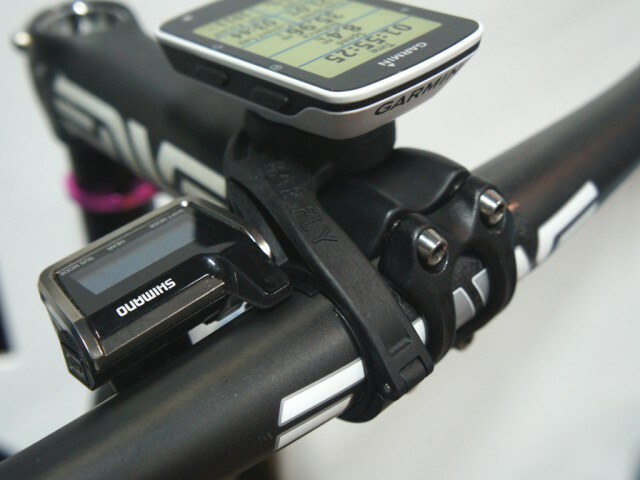 Not yet in the catalogue, the mount shown here adds the ‘dashboard’ from Shimano’s XTR Di2 electronic shifting package. Sure, we have plenty of handlebar nowadays, but clamp-able area at the stem is actually pretty scarce- and this has the potential to tidy things up nicely. 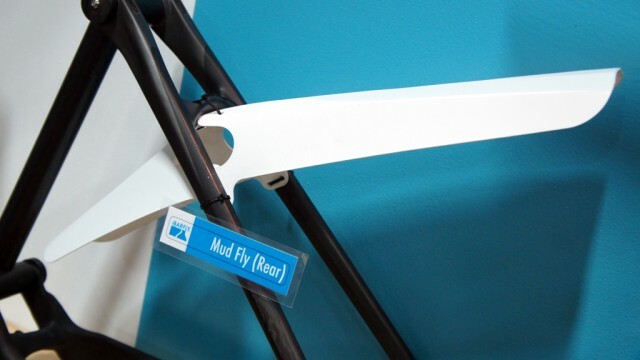 Building on the success of their Rain Fly mudguard is a trail-oriented Mud Fly. It’s light (the road-oriented Rain Fly claims to be the lightest available) and the folded design makes the most stiffness of a lightweight material. And Grips! Who doesn’t like a nice, comfy silicone grip? They’re all the rage- and for good reason: they’re comfortable and secure. 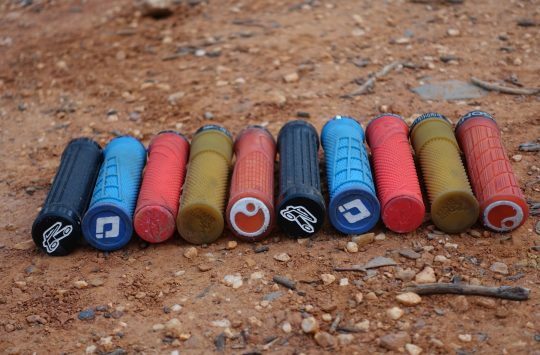 That Porter system is pretty neat, and solves the problem of where to carry tools when bike packing.